Is your child's birthday approaching? 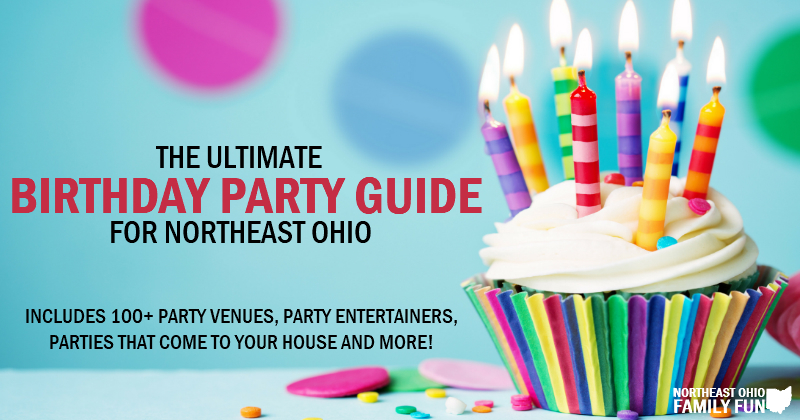 Before you spend hours upon hours party planning, check out our roundup of Northeast Ohio's best local birthday party places, entertainers, cakes, rentals and more! Whether you are celebrating your baby's big first birthday, a Sweet Sixteen or any age in between, this guide will help you plan the perfect party! Birthday Party Planning Just Got Easy! 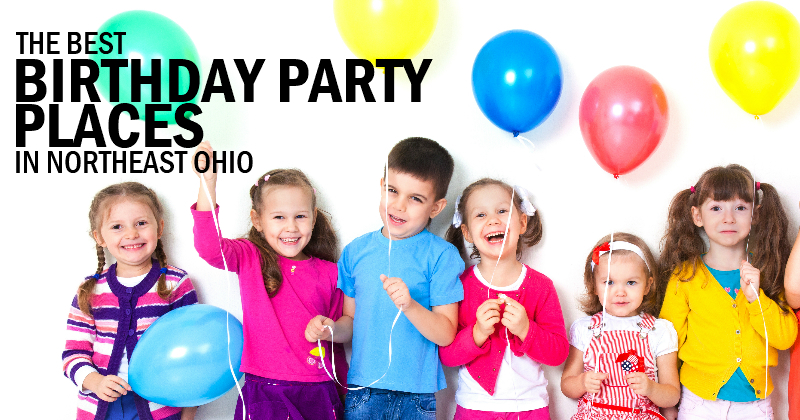 Use our Northeast Ohio Family Fun Birthday Party Guide for stress-free, birthday fun! See something we've missed? Submit the details here and we will include it. 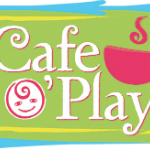 Birthday party places can make or break a great event. Have no fear: we’ve collected a giant list of places to have a birthday party in Northeast Ohio. Looking for ways to keep the kids entertained at the birthday party? 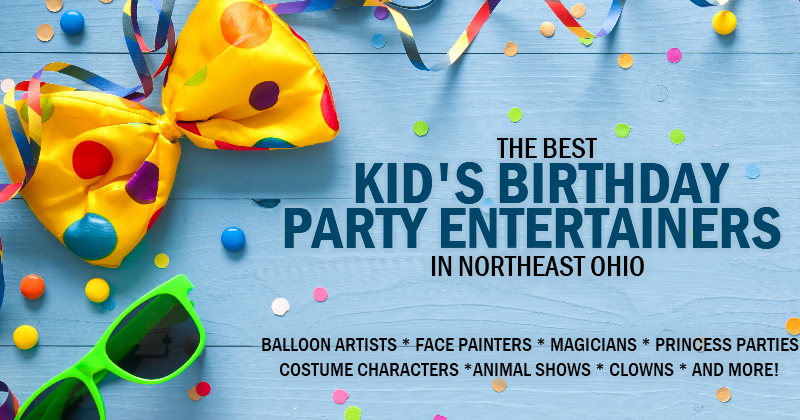 Check out our long list of Kid's Birthday Party Entertainers – Animal Shows, Princess Parties, Face Painters, Balloon Artists and more! 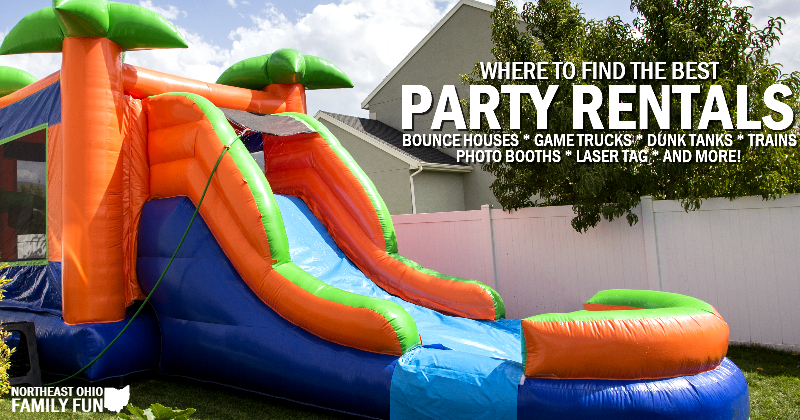 From Bounce Houses, Trackless Trains to Mobile Video Game Units, these birthday party rental options are fun for all ages and interests.